Today it's time to begin sharing my Clearly Besotted Stamps teaser cards for January. 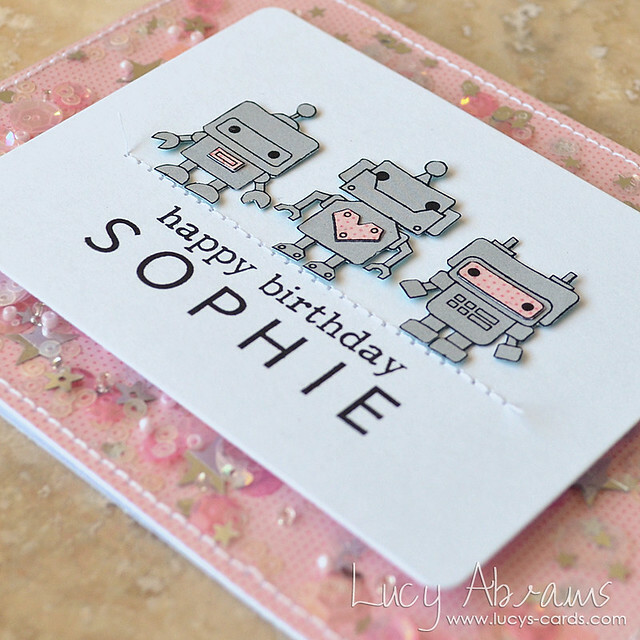 This month's release is as cute, fun and pretty as ever, and my projects today feature my favourite set of the lot - Mini Bots. First up, I created a shaker pocket using Pebbles patterned paper and my Tinkerbell Shaker Selection. Next, I die cut a frame from white card, then used the older Clearly Besotted sets - Sentimental Type and Basic Alphabet - to create a custom message for my girl. 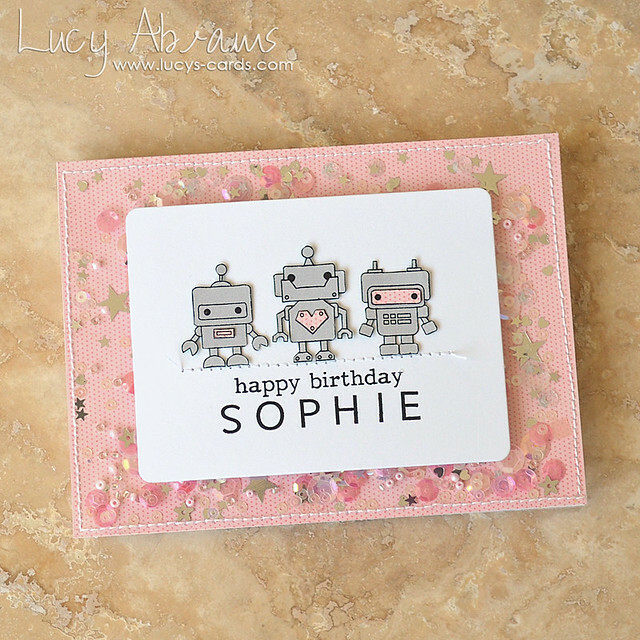 I stamped my cute little robots on grey paper, then again on the same pink paper as the background, hand cut them out and paper pieced them together. I adhered them to the frame, then added a line of stitching to finish. I adhered the frame to the card with foam tape. And as I had all those robots on my desk, I decided to make her a little matching colouring book too. I simply stitched some sheets of paper inside a 4 x 4 folded card and stamped the pages with various images and messages from the set. They are so cute!! Check out the little robot puppy!!!! I'll be back tomorrow with more peeks. Sophie is a lucky girl to have such a talented mum! I completely agree that it's such a shame that things have to be so gender specific. Maybe one day things will change. Fingers crossed! 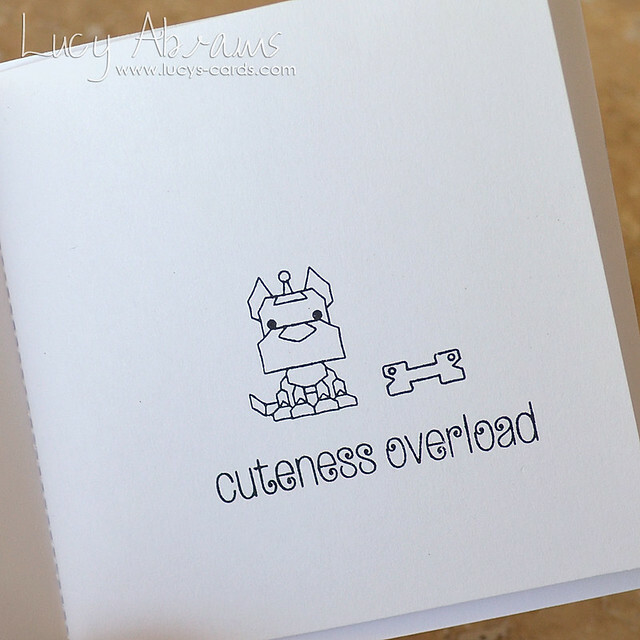 Your card is simply darling and the little coloring book is so clever! Thanks for the inspiration! Loved the idea of the coloring book. The card so cute! Sophie's going to be so pleased with this darling card and coloring book. Those bots are so adorable, almost as cute as she is. 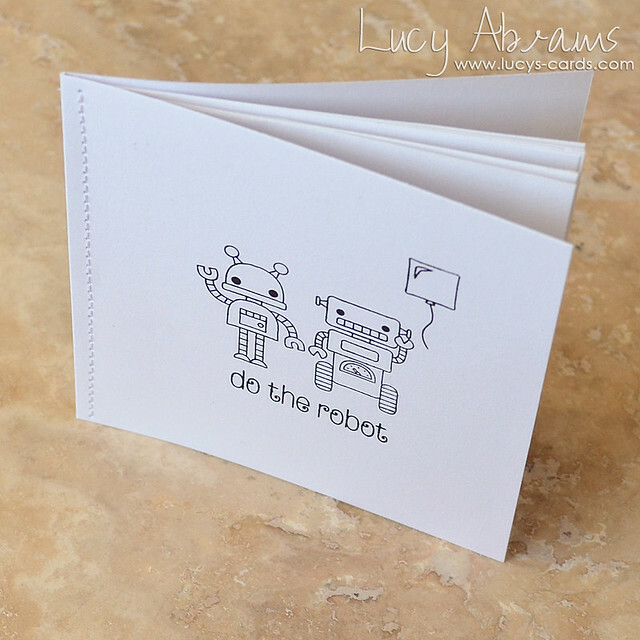 Love the robots and the coloring book is fab!! Cute as can be and love the feminine look for robots!